These three contiguous trails—the Raymond G. Esposito Memorial Trail, Old Erie Path and Joseph B. Clarke Trail—occupy the former right-of-way of the Erie Railroad's Nyack and Piermont Branch. 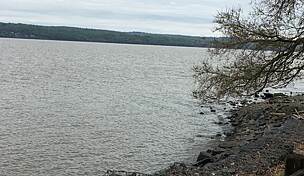 Each trail is fairly short but taken together they make for a wonderful experience along the banks of the Hudson River. The Joseph B. Clark Trail travels between Western Highway and Oak Tree Road, traversing neighborhoods, the village of Sparkill and forested areas. There are bridges over, and viaducts under, busy highways and roads, with some street-level crossings to be cautious of. Northeast of Sparkhill village the trail links up with the Old Erie Path along Piermont Avenue. To reach the Oak Tree Road endpoint in Tappan, from the Palisades Interstate Parkway, take Exit 5 South to U.S. Route 303. Turn left onto Oak Tree Road. There is a small parking lot on the left for trail users. To reach the Greenbush Road parking area in Orangeburg, from the Palisades Interstate Parkway, take Exit 6 East onto County Route 20, West Orangeburg Road. Turn right onto County Route 15/Western Highway. Turn left onto Highview Avenue. Turn right onto Greenbush Road. Enter the Lowes store parking lot. There is parking for trail users in the northeast corner of the parking lot. On a warm Sunday afternoon at the end of the trail I decided to take the streets back through Nyack to Piermont and was not disappointed. Nyack along the Hudson River is lined with Victorian and old sea captain-like homes. It's a bike route so there other bikers not doing the trails and really not too much traffic, so I felt safe. The street leads to Piermont, a beautiful little tree-lined village right on the Hudson river offering piers, marinas, restaurants, coffee shops and specialty stores. It really is spectacular. Then the streets lead from a small park over a creek back to the other little park where you meet the trail again. Without signs or knowledge I just followed my instincts and and found my way. Worth a return visit. Rode the trail yesterday for the first time. Nice ride for an old guy like me. I started at the Oak Tree Road entrance and took it to the end and back. 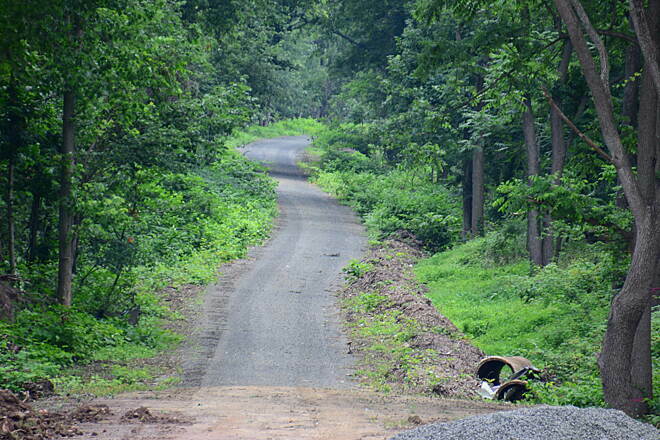 It’s a perfect trail for an older biker like me to get there daily exercise. The trail is now complete! The never-ending road project actually had an end! The underpass is now open and the trail is rideable end-to-end! Great ride for any type of bike. The extension mentioned in the previous comment is basically completed except that there is a break due to seemingly never-ending construction on the Orangeburg Road overpass. You can ride the new section from the Blauvelt Library to the overpass and detour on streets to meet the older part of the trail. J.B. Clarke Rail Trail Extension: Construction is finally underway on the extension of the Town's J.B. Clarke Rail trail from it's current terminus by the Orangeburg Library on South Greenbush Road to a new end point behind the Blauvelt Library on Western Highway. This project is entirely funded by New York State, with input on design coming from the Town and residents. Though some trees have been removed along the path of the new section of trail, when complete, the rail trail will be attractively landscaped and will include new parking spots and an informational kiosk and bench at the Western Highway terminus. The 8th annual J.B. Clarke Rail Trail 5 Mile Fun Run will be held on Sunday October 19, 2014 at 9:00AM. The run will begin and end on the trail in downtown Sparkill. This non-competitive event will not offer awards, but will include accurate mile splits, water stops and post-run refreshments. Applications may be obtained at www.orangetown.com. Race day sign up will begin at 8:15AM. Come and enjoy a fun morning on the latest update to our parks system. We received no notification of the meeting back in April regarding the extension of the trail. Between 2 adjacent properties, if we missed one notification, we should have seen the other. Love the existing trail, but want to know more about the extension. Trail Extension Meeting a success! The presentation by NYDOT was excellent; construction should begin the summer of 2014 with completion by 2015. Congratulations to the town for getting these funds dedicated to the people of Orangetown. A great asset for the town is getting even better! GREAT NEWS! 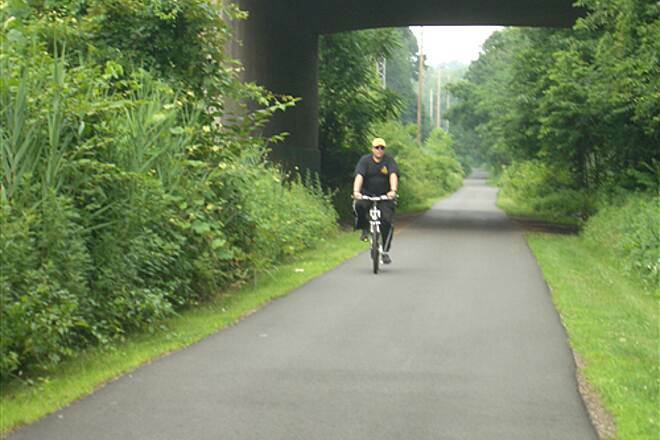 Rail Trail to be completed to Blauvelt!!! 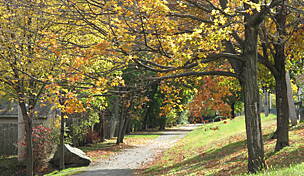 J.B. Clarke Rail Trail 5 Fun Run The 6TH annual JBC 5 Fun Run will be held on Sunday, October 21, 2012 at 9:00am. The run will begin and end on the trail in down-town sparkill. This non-competitive event will not offfer awards, but will include accurate mile splits, water stops and post run-refreshments. Applications may be obtained in our downloadable file sections on this page or at the Recreation Office. Race Day sign-up will begin at 8:15am. Come and enjoyu a fun morning on the latest update to our parks system. Nice trail, but does it continue? I started the trail next to Lowes off route 303, then continue to sparkill, then oak tree road to the end - 5 miles round trip. When I looked at the map at the trailhead, it seems to indicate the trail goes north from the Lowes trailhead (though yellow labeled and stating it was not paved). Does a trail exist from this spot that goes north or is the sign wrong? 3rd Annual Clarke Trail Run RESCHEDULED to Sunday October 25th!! 3rd Annual Clarke Trail Run RESCHEDULED!! The race will now take place on Sunday October 25th at 9:00AM. obtained at www.orangetown.com. Race day sign up will begin at 8:00am. Come and enjoy a fun morning on the latest update to our parks system. latest update to our parks system. Alienation of Park Land - Your Phone Calls WILL Help Save a Park Please!!! The Town Of Orangetown has a "Park & Ride" project and the NYS Region 8 DOT is ready to assist by funding in the "alienation of parkland" on the parking lot on park land which borders this rail trail. Numerous inquiries, petitions and letters have yielded no explanation of what or why they are proceeding, much to the angst of the local community and shop keepers near the park and rail trail. Over 200 patrons and park goers and all the shop keepers wrote the town council asking them to keep the park and the rural feeling of Sparkill, NY 10976, but they have never formally replied or responded, but keep pressing forward. YOUR CAN HELP: PLEASE CALL ELLEN JAFFEE'S OFFICE AT 845-624-4601 AND ASK HER TO ENGAGE THE HIGHWAY DEPARTMENT AND THE TOWN COUNCIL TO FIND A MORE SUITABLE AND APPROPRIATE PARK AND RIDE FOR ORANGETOWN. mile splits, water stops and post-run refreshments. 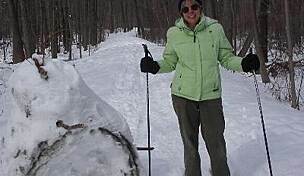 trail and enjoy a fun morning on the latest update to our parks system." 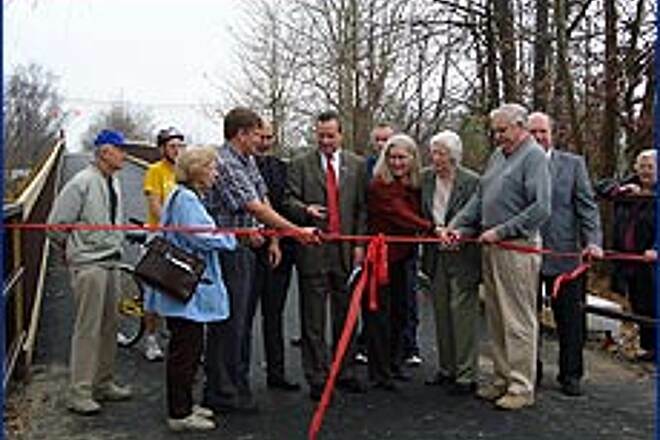 The pedestrian bridge over Route 303 in Orangeburg was dedicated in a ribbon cutting ceremony held on November 30, 2006. The bridge links sections one and two of the Joseph B. Clarke Rail Trail. The Trail begins at Oak Tree Road in Tappan and continues westerly 2.5 miles to the pedestrian bridge. Construction of Phase 2 of the Trail, which will terminate at Western Highway in Blauvelt, will start in 2008. Photographed are: James Olsen, Sr., Robert Hudson - trail abuttor and coach, Catherine Dodge - member of the Orangetown Parks Development Advisory Committee, Richard Rose - Superintendent of Parks and Recreation, John Murphy - County Legislator, Thom Kleiner - Town Supervisor, Watson Morgan - member of Town Open Space Committee, Connie Coker - County Legislator, Marie Manning - Orangetown Town Councilwoman, Joseph B. Clarke - former Superintendent of Parks and Recreation, Patrick Moroney - County Legislator and Mary McCloskey, member of Orangetown Parks Development Advisory Committee. 20 new parking spaces at the Washington Street lot are now available - this is the best place to park to take advantage of the great improvements to the trail and enjoy the fall foliage. I should like to comment on a letter to the editor which appeared in your Sept. 6 issue in which John Perrella indicated that he was unable to get information on the origin of a bridge that connects ""two sections of a hiking trail in Orangetown slightly south of Orangeburg Road"" on Route 303. It is unfortunate that Mr. Perrella was not able to have easy access to this public information, and so I want to take this opportunity to provide some basic information about the genesis of the project. 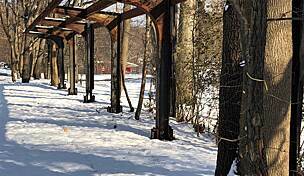 This pedestrian bridge was part of ""The Plans for the Palisades Rail Trailway,"" and was presented to Orangetown officials and the Rockland Planning Department. The land for this project was purchased by the Town of Orangetown in 1996. There were safety concerns. In the words of the report: ""The route requires the construction of new pedestrian bridges at Route 303 and at an active CSXT Railroad Line."" The construction of this bridge was the result of ongoing community discussion and a consensus transportation agreement between the NYS Department of Transportation and the Palisades Interstate Parkway Commission. Additionally, officials of the Town of Orangetown and the Rockland Planning Department went on record as supporting the project, 80 percent of which is federally funded, with 20 percent coming from state sources. Local and regional engineers, local planners and local officials, and members of the public all played a role in the overall planning of this project. A copy of the Final Design Report is available at my office. Tom Morahan, New City "
I'm writing to offer support for and clarity about the bridge erected over Route 303 recently. It seems some citizens were surprised by its appearance, although it was the subject of years of discussion in the Town of Orangetown and was, in fact, covered several times in this newspaper. To answer a few questions: The bridge was erected as part of a pedestrian/bicycling pathway that's designed to eventually run the length of the right-of-way alongside the Palisades Parkway up to Bear Mountain, providing Rockland residents a rail-to-trail-type park system similar to the amazing North County Trailway in Westchester. The bridge is part of the first phase of that plan, and connects two sections of town park that were previously separated by Route 303, and were previously unpaved. The bridge runs across Route 303 next to Lowes and one of the busiest sections of roadway in the state. Surely erecting a bridge so that the children and families who are out enjoying a day of biking, walking or Rollerblading are not struck by cars and killed is something that should be embraced by residents. Next year the path on the other side of Route 303 will be extended on more existing park land, adding more miles that families can use for recreation. The bridge was paid for with Federal funds, part of the Transportation Equity Act (TEA-21) designed to reduce vehicular use and inspire bicycle and pedestrian activities. Contrary to some letters in the Journal News, the project is well known by all the local representatives and meetings about the bridge in were run by Orangetown Supervisor Thom Kleiner. With all the sprawl that's gripped and shaped Rockland for the better part of two decades, it's nice to see a project designed to encourage enjoyment of the outdoors and that provides additional recreational activities for the local residents. ORANGEBURG — For one Pearl River man, a new bridge over Route 303 is just part of a grand vision to connect the region through a series of recreation paths. When Joseph B. Clarke became the town's superintendent of parks in 1969, the trail was actually train tracks. After years of advocacy, though, the old Erie railroad line was converted into a pedestrian path that now bears his name. 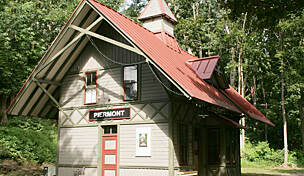 ""My initial thought was that it wasn't just Orangetown, it went through the whole county,"" Clarke said of the trail. ""It's like a ribbon going through town."" 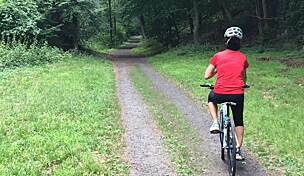 The Joseph B. Clarke Rail Trail is a 5-mile path that runs from Tappan to Blauvelt. In 1997 — the same year Clarke retired — the town purchased part of the old railroad line from Conrail for $300,000. Richard Rose, the town's current superintendent of parks, said the town named it after Clarke because he was a driving force in acquiring the land. The trail, however, needed work and was cut off by the heavily trafficked roadway. Anyone who wanted to utilize the entire path had to navigate the traffic on Route 303 — no mere stroll in the park. For some, that challenge wasn't a risk worth taking. That will change now that the state Department of Transportation has built a footbridge over the heavily trafficked road in Orangeburg, meaning that more people will likely use the entire trial. The bridge is not yet open. ""No. 1, it takes you off the street,"" Clarke said of the safety advantages of the bridge. ""I think what it will do is open the area for pedestrian use. It's part of the circle."" Workers late Tuesday and early yesterday installed the pedestrian bridge. The span essentially completes the first phase of the trail improvements, a $3 million project, said Rose. ""This is obviously a key thing that needed to occur,"" Rose said. ""We're getting to the end of the process of phase 1."" 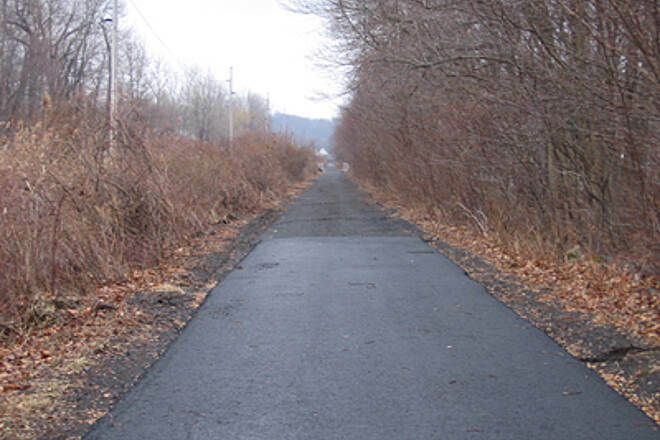 In addition to paving the current 10-foot-wide gravel path for bicyclists, in-line skaters and strollers, the project included adding two-foot-wide gravel sections on either side of the path for walkers, runners and joggers, from Oak Tree Road in Tappan to Greenbush Road in Orangeburg. The first stage also included plantings, parking spaces, drainage improvements, kiosks and benches. Rose said that 80 percent of the cost was covered by federal funds. With the state transportation funds covering the upgrades, he said the town did not have touse local tax dollars. A second phase should begin in 2008, he said. James Olson, the engineer in charge, said the steel truss bridge was an important safety component and would enable users to use the trail contiguously. ""You'd have to run across four lanes of traffic,"" Olson said of how the recreation path was cut off. ""This maintains an open trail."" Bob Hudson uses the path daily. A physical education instructor at William O. Schaefer Elementary School, Hudson said he advocates family fitness and has noticed more people using the trail after the upgrades. With the new bridge, he expected that trend to continue. ""I think it's terrific I see a lot more people using the trail,"" he said. ""We'll utilize it a lot more with the bridge. I think it's real important for safety reasons. It links both halfs of South Orangetown in a safer way."" Hudson, also coach of the girls cross country team at Tappan Zee High School, said the path is an ideal training route for his runners. ""I can't wait for them to finish so my team can go on it,"" he said. ""It's going to be terrific when they go to phase 2."" Clarke shared that enthusiasm. The new installation is like seeing his dream become a reality. ""It's nice to see something maturing and blossoming,"" he said. It's a magnificent structure, a piece of art across Route 303 in Orangeburg at the exact spot where the first long-distance rail line in the United States crossed in the mid-1800s. The latest connection in the Joseph B. Clarke Rail Trail, this new footbridge should eventually prove pleasurable for many. Kudos are due all involved, including Orangetown officials; James Olson, the state Department of Transportation engineer in charge, and a Palisades native and Boy Scout well used to traveling the old Erie Railroad bed; and Bob Hudson, a physical education instructor for the South Orangetown schools. In an age where gas prices are rising exponentially, where traffic congestion is worsening and where fast foods threaten to clog the arteries, it makes extra good sense to utilize old rail beds and turn them into walking, hiking, biking trails. Ramapo is doing that now in Monsey and the western part of the town, and the county has a very nice run on the old rail branch from Pomona to Mount Ivy. Pity that government was not farsighted enough decades ago when the lines were abandoned. In some areas, for example, developers have taken over parts of the Erie, which began at the Piermont Pier and carried goods arriving by Hudson River boat from New York City, bound for upstate, the Midwest and the West. The line really helped open up the frontier. Now at least some of the rail bed can be used for the new frontier of stress-relief walking and exercise. Coach Hudson knows all about this as he has long been a booster of the Clarke Rail Trail, named for a former Orangetown superintendent of parks who helped inspire the project. Hudson even volunteers to maintain part of the finished run from Oak Tree Road in Tappan into Sparkill and then to Greenbush Road in Orangeburg. He is always stressing good exercise for his students and for adults, too, and the trail can help provide that. The new bridge spans Route 303, which has become a traffic-congested route, especially since more trucks were added to it daily following the opening of the I-287 connection at Suffern/Hillburn in the early 1990s. Without it, it would be impossible for trail users to cross the state highway safely. 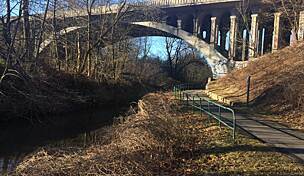 Up until the 1980s, the Erie track ran across Route 303, once serving both Camp Shanks and the old Orangeburg Pipe Co. With the footbridge's completion, bikers and walkers/hikers will be able to cross over, but for now the trail essentially ends there. There is a rough section from Mountainview Avenue in Orangeburg to the back of a private business off Western Highway in Blauvelt, but this, as well as a connector from the new bridge to Mountainview, awaits a planned 2008 use date. We urge Orangetown to act now on the second phase. The beautiful new bridge should lead somewhere, and our worry is that 2008 could become 2010 or 2015. It took years, after all, to get to this wonderful bridge (in 1997 Orangetown purchased part of the old rail line from Conrail for $300,000). 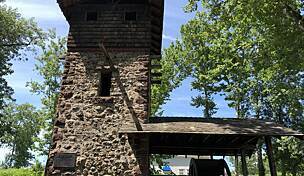 And we must not forget that the town has already lost part of the full trail since a previous town board, in the 1980s, dismissed using a portion of the line to Fifth Avenue in Blauvelt. Officials back then caved into a few residents' silly worries that burglars would access their homes via the trail. There is no evidence that any rail trail anywhere provides such opportunity. Now, apparently, the farthest the trail can run is Western Highway. Beautiful job so far. Let's plan to get it finished. The new improvements are GREAT! "I took my dog driving on the trail today. Once you cross Western Hwy, it's still paved for quite a bit, and then abruptly goes to a stonedust surface, but it's still pretty good. I suspect there are plans to continue the trail over 303, right next to the Lowe's. I took a photo of where it leaves off at that point and uploaded to the phot section. It was roughly 4.8 from the trailhead at Oak Tree Road to 303 and back again." Some Trail Segments Now Paved! 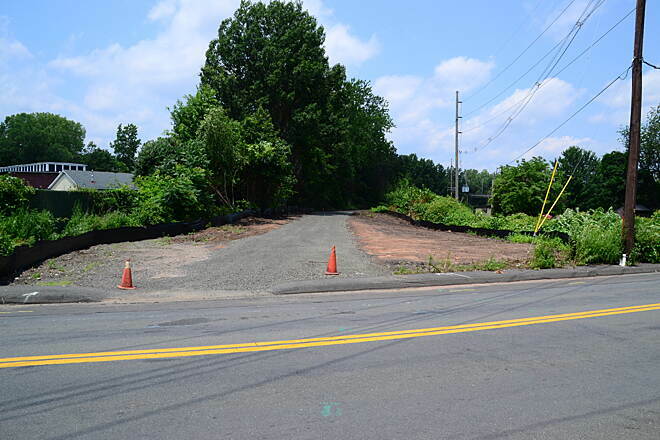 The trail is now paved with asphalt from Route 303 in Orangeburg south to Oak Tree Road in Tappan. A bicycle/pedestrian bridge over Route 303 is now under construction. 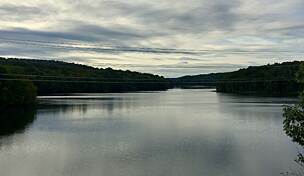 hamlets of Tappan, Sparkill, Orangeburg and Blauvelt, while a separate spur of the trail connects to existing trails through the villages of Piermont, Grand View-on-Hudson, South Nyack and Nyack. The trail became a designated Greenway Trail in 2004 and has proven to be a great community resource. A subdivision that was built next to the Joseph B. Clarke Rail-Trail capitalized on the close proximity and used the trail as an advertising tool to sell lots! The trail has become the Phase 1 portion of the Palisades Trailway, and work to re-surface the trail for multi-use by as bikes, in-line skates and carriages is scheduled to begin in 2005. Proximity to trail used as a marketing tool." There were some great nature sightings this past week on the trail. I came across one LARGE turtle -- the size of my son's biking helmet -- on Thursday. Saturday morning I saw a very young deer that was no more than four-feet tall and a small turtle that was about six inches in length. All sightings were south of the Palisades Parkway overpass and directly on the trail. 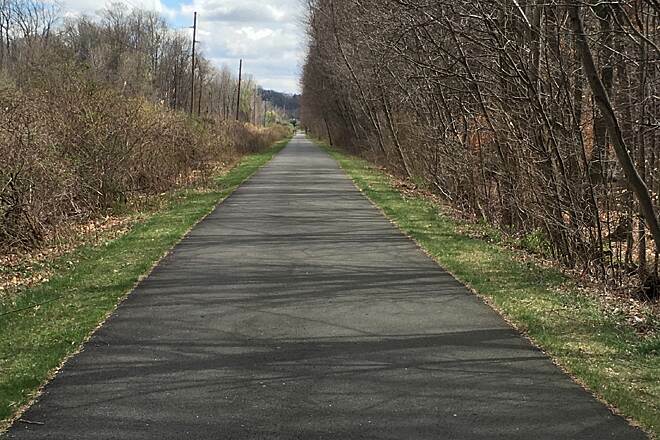 "The Hudson River Valley Greenway and the town of Orangetown have designated the 4-mile Joseph B. Clarke Rail-Trail as a segment of the Hudson River Valley Greenway system. 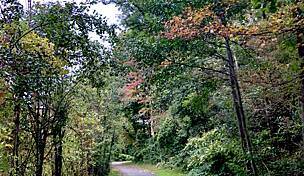 The Joseph B. Clarke Rail-Trail also links to the Piermont, South Nyack and Nyack River trails and connects to Sparkill Park. The Hudson River Valley Greenway system runs for nearly 520 miles on both sides of the Hudson River, from Waterford in Saratoga County to Battery Park in Manhattan. 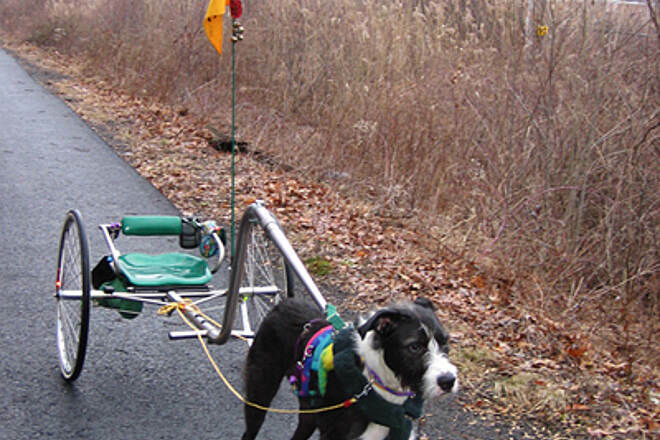 Go to www.hudsongreenway.state.ny.us to learn more about the Hudson River Valley Greenway." PALISADES TRAILWAY IN PRELIMINARY DESIGN – The New York State Department of Transportation in cooperation with the Town of Orangetown has begun preliminary design work for construction of the Palisades Trailway a paved non-motorized multi-use 3.6 mile trailway on the Joseph B. Clarke Rail Trail along the former right-of-way of the Erie Railroad from Oak Tree Road to Western Highway. The proposed project is located in the Town of Orangetown, Rockland County. This project is the first phase of a cooperative effort between the NYSDOT and the Palisades Interstate Park Commission to build a 26 mile paved trailway in the Palisades Parkway Corridor from the New York -New Jersey State Line to Anthony Wayne Recreation Area in Bear Mountain State Park. There are few places where families and individuals can safely bike, walk, rollerblade, jog, hike, free from motor vehicle traffic. A public information meeting on this project will be held at the Town of Orangetown Town Hall in Court Room 1 located at 26 Orangeburg Road, Orangeburg, New York on Wednesday, March 5th, 2003 from 4:00PM to 8:00 PM. Refreshments will be provided. Project information will be on display and NYSDOT representatives and design consultants will be available to provide information on the project throughout the duration of the meeting. No formal presentation is planned. The purpose of the meeting is to explain the project and obtain comments on the proposed project from individuals, groups, officials and local agencies. The NYSDOT project manager is Russell Robbins, who can be contacted by phone at 845-431–5723 or 5978 or email rrobbins@dot.state.ny.us. " 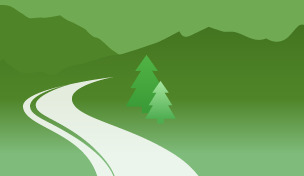 "My reviews are as a hiker. The southern terminus of this trail (at Oak Tree Road) and Sparkill (about 1 mile north) have parking available. North of Kings Highway, the water treatment plant can emit some unpleasant odors for a short distance. After crossing Route 303 the trail is broken by the CSX River Line. A detour along nearby streets is necessary. The north end is abrupt behind Esposito's Market in Blauvelt (on Western Highway to your left). This trail also connects with the Nyack Rail Trail by way of an eastern spur, just north of Sparkill. This is an easy pleasant walk of about 4 miles. Rates a 5 out of 10!" "The connection to the trail leading to S. Nyack and Nyack has been reopened! With increased usage and settlement of the original stones the trail has become more compact and stable. The town has added gates, signage and wood chip edging. Great fall foliage and with the leaves falling great views of the Hudson. 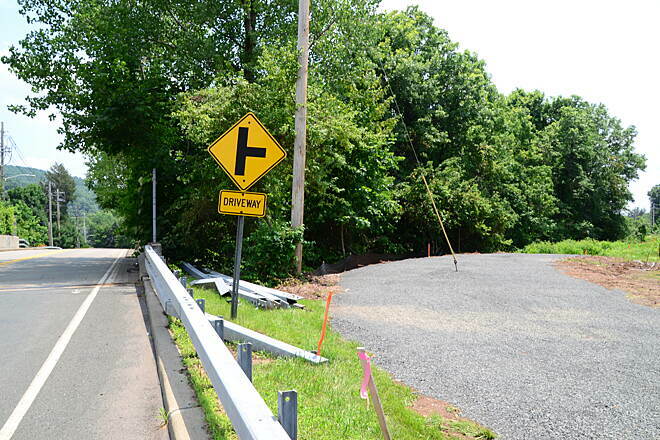 From the southern terminus on Oak Tree Road in Tappan, you can now travel approx. 5 miles to Nyack and cross only 4 roads! Amazing considering the scarcity of open space in such a congested part of the state. Great for rides or walks w/ the kids. " The southern part of this trail (from Oak Tree Road north to the town's Waste Water Treatment Plant) is covered with rather large gravel. Be prepared; no road bike will make it in one piece. Have a map handy too otherwise you will get lost north of Route 303 trying to connect back up with the trail (it's broken in two by the CSX River Line). This trail also connects with the Nyack Rail Trail but the connection is temporarily closed due to the construction of a new bridge on Route 9W. E-mail if you're planning to take this one on and I'll answer any questions you have. I've biked the entire route numerous times. Maps are available from the Orangetown Parks & Recreation Department. Flat from Orangeburg through Tappan. Moderate uphill on spur to S. Nyack with great views of the Hudson.